Photo by Matthias Ripp. Used by permission. I’ve been throwing down prenatal vitamins every morning for more than a decade, so I was shocked to realize that I’m deficient in iodine, a nutrient essential for thyroid function and brain development. I’m not alone, almost a third of pregnant women in the United States don’t get enough iodine in their diet, and only about 15% of prenatal vitamins contain iodine (mine didn’t.) This month, The American Academy of Pediatrics released a new policy statement about iodine deficiency, making the recommendation that pregnant and breastfeeding mothers should be taking at least 150 micrograms of iodine daily. Everyone needs iodine, but new research on iodine deficiency only considers pregnant and breastfeeding women, for whom the recommended daily allowance (RDA) of iodine is the greatest. We don’t yet have researched-based guidelines for iodine supplementation in people other than pregnant and breastfeeding women, but I suspect these guidelines are coming soon. It turns out iodine is only added to some types of table salt, and isn’t present in the salt used in most prepared foods. 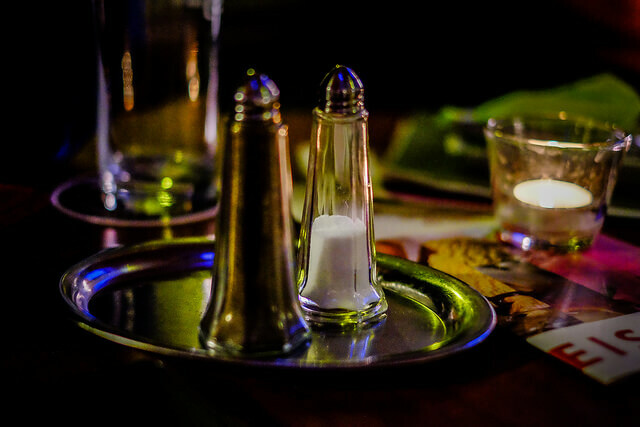 Americans now get most of our salt from prepared or processed foods, not from table salt. Even though my family eats home-cooked meals every day, most of our salt comes from prepared dressings, condiments, sauces, etc. I don’t add much table salt to my cooking. Most of our guilty treats, cookies, crackers, etc., are also store-bought and made with salt that does not contain iodine. Unless you are making your own tomato sauce, salad dressing, salsa, and baked goods from scratch, your family probably isn’t getting enough iodine either. Iodine isn’t added to canned foods and commercial food products because it can cause discoloration of the food, which is harmless but aesthetically displeasing. Gourmet salts, such as sea salt, usually do not contain iodine. Iodine is naturally occurring in foods that aren’t particularly popular in the United States, including sea vegetables, some fish, and potato skins. Cranberries and strawberries also contain naturally occurring iodine. Supports brain development: Iodine is essential for the brain development of babies before birth and while breastfeeding. Iodine deficiency is directly related to mental retardation and low IQ scores. After the Morton Salt Company started distributing iodized table salt in 1924, the average IQ in the United states went up 3.5 points nationwide and 15 points (one standard deviation) in iodine deficient areas! Protects against environmental toxins: This fact surprised me– common environmental toxins compete with iodine for receptors on the thyroid gland and on the glands that produce milk in breastfeeding mothers. So, if you don’t have enough iodine to bind to those receptors, toxins take their place, potentially causing a slew of problems from poor metabolism to cancer. Toxins that compete with iodine include thiocyanate, nitrate, and perchlorate. Thiocyanate is found in tobacco smoke (including second-hand smoke), and nitrate is found in some root vegetables and drinking water. Perchlorate, commonly found in US food and public drinking water systems, is the strongest competitor for the iodine receptor and clearly interferes with thyroid function. Keeps your thyroid and metabolism healthy: Iodine is essential for thyroid function and regulation of metabolism. Low iodine can cause hypothyroidism and goiter. The World Health Organization (WHO), United Nations Children’s Fund (UNICEF), and the International Council for the Control of Iodine Deficiency Disorders (ICCIDD) recommend a slightly higher iodine intake for pregnant women of 250 mcg per day. One teaspoon of table salt contains about 270 mcg of iodine. What should I look for in a vitamin? Only about 15% of prenatal vitamins contain iodine, and of those that do many are not accurately labeled. Some vitamins that are labeled as containing iodine do not contain forms of iodine that are easily used by the body. The FDA is currently addressing this labeling issue. If you are not getting enough iodine from your diet (about one teaspoon of table salt per day for breastfeeding and pregnant women, less for everyone else), consider taking a iodine supplement. Iodine supplements are available over-the-counter or by prescription. Pregnant and breastfeeding women should take a 150 micrograms iodine supplement daily, per the American Academy of Pediatrics policy statement. As for me, I just bought over-the-counter iodine supplements. It’s one more pill each morning to go with my prenatal and DHA, but it’s worth it to know that my children and I are healthy. Are you pregnant? Anemia is another common cause of cognitive impairment in children. Learn how waiting a minute or two before clamping the umbilical cord can prevent anemia in your baby. 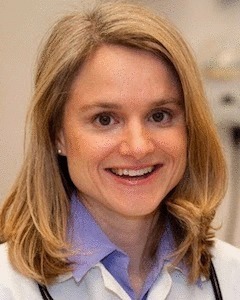 Dr. Kathleen Berchelmann is a pediatrician at St. Louis Children’s Hospitaland an official spokesperson for the American Academy of Pediatrics. She is the co-founder and director of ChildrensMD, a blog written by five dynamic mom-pediatricians who share their true confessions of trying to apply science and medicine to motherhood.